Welcome to our lovely home on a quiet, tree-lined street. We're located in a family-friendly and vibrant neighbourhood filled with eclectic boutiques, bakeries, restaurants, and a weekly organic farmer's market and special events throughout the year. Our home is steps away from public transit and minutes to downtown or the main highway by car. Waiting for you are sun-filled rooms that have been fully renovated and beautifully decorated. Complete with high quality linens and towels for your comfort. There is FibeTV, unlimited WiFi and landline with outgoing local calling. We have a fully equipped kitchen with gas stove top/electric oven, fridge and dishwasher. Living room has FibeTV, a full size sofa, chairs and antiques. Dining area with pine harvest table and six chairs. Spacious master bedroom has king size bed and FibeTV. French inspired main bathroom with clawfoot tub. Cozy shabby chic bedroom with single/twin bed and desk. Basement suite has queen size bed, 3 piece bathroom, FibeTV, DVD player, stereo system, plus a comfy sofa for relaxing. Backyard has private deck with BBQ overlooking the garden. For those who like to maintain their healthy routine, we have an exercise space which has a Precor eliptical machine, weights, bands and a yoga mat. A high efficiency washer/dryer is available for guests, including HE laundry soap. As a native Torontonian, I'm a great resource of what the city and surrounding areas have to offer. I'm an independent graphic designer and enjoy the ability to work remotely while visiting friends and traveling. The neighborhood offers such diversity in terms of restaurants, activities, green spaces and great boutique shopping and services! I'm an avid gardener and take great pride in my personal green space. Our property is located in a quiet and safe neighbourhood with diverse restaurants, eclectic boutique style stores, a variety of independent bakeries and cafés, Starbucks/Tim Hortons all within easy walking distance. Our home has been fully renovated, is comfortable and well decorated. We can provide reliable restaurant and tourist recommendations. The streetcar is literally outside our door and the nearest subway is 3 streetcar stops away, or 15 minutes by foot. There is a fantastic Organic Farmer's Market held every Saturday at Wychwood Barns which is 2 blocks away. Our neighbours are very gracious and friendly. Our guests appreciate that our downtown home is located in a family-friendly neighborhood on a quiet street. They like the ease of parking, convenience of easy access to public transit, great shops, restaurants and bakeries. Guests enjoy our beautiful gardens and private backyard space where they are able to relax with their family, use the bbq or lounge on the deck. Our guests kindly say they love our home, they feel comfortable, everything they need for a wonderful vacation is provided. Guests have also expressed that they appreciate the ease of communication and they would gladly return. We have maintained our 5 star rating for the past 5 years. We appreciate our guests...many of whom have stayed with us on multiple occasions. We provide 100% cotton towels, hair dryer, toilet paper, hand soap, Q-tips and cotton make-up pads. There are also emergency supplies in the linen cupboard in case a guest forgets shampoo/conditioner, sunscreen, lint brush, toothbrush, etc. Located in a family friendly neighborhood. Great cafés/specialty shops/boutiques, Casa Loma Castle Wychwood Barns Organic Market and Art Space, public transportation all within easy walking distance. 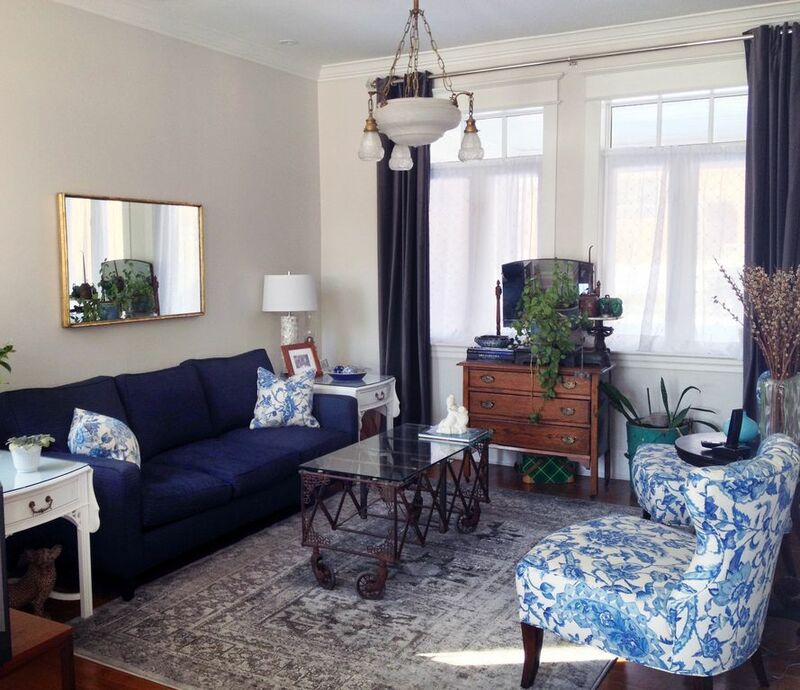 Living room is 11' x 12' and includes a three-seat sofa, 2 tub chairs, coffee table, end tables, area rug. Full length curtains and sheers and great lighting. The kitchen has several sets of dishes, everyday, china and plastic for outdoor use. Lots of kitchen utensils, cutlery, measuring cups/spoons. There are plenty of pots/pans/cookie sheets. Bell Fibe TV is available throughout the home equipped with HD PVR. If you're planning a special occasion or would like a specific service, please let us know prior to your arrival and we will be happy to help. Lovely home away from home! Really enjoyed our time here. My teenagers enjoyed having the basement to themselves! We left our car parked out in front of the house and used the subway. Easy to get into downtown Toronto via the subway. Was handy to go to the grocery store on the way home each afternoon as it’s right next to the subway stop. This house is a perfect find. Meticulous attention to detail. Double doors onto the deck allow you to watch the birds and once the warm weather hits enjoy the garden. Very clean and has simply everything you need to enjoy your stay. Close to transit and many restaurants. Host is responsive and kind. Delightful property, comfortable and well equipped, and very convenient for shops, restaurants and transport links. Our family of 4 was perfectly comfortable in this very nice home. we used public transport to see the city and had a great trip. Fantastic support from our hosts. But this review is about Wychwood#569209 - the enabler for our visit. It is a very nice, well appointed cottage located just off of St Clair (and the TTC street car line) in Toronto. Since our visit was in December the shrubs and greenery were all dead but showed the promise of a great spring and summer garden display. The home has a large BR upstairs with full bath and another small BR. In the finished basement there is a studio BR with full bath. This fit our family of two grown daughters and husband and wife well. The main floor has a nicely decorated LR and kitchen/DR. The ceilings are 9'+ ft high giving the area a great spaciousness. What looks to be recently updated and well thought out lighting (all dimmable LED I think) provided good visibility and lighting control throughout. As with all good gathering spaces an ample kitchen becomes the center of attention. Wychwood provides the kitchen and connected dining area for this. All the appliances appear newer and are of excellent quality. The lighting is superb. Plenty of cooking and eating implements allow you to create a great meal. For a couple or two who want to have access to Toronto via the streetcars/subway (no driving or parking in downtown) for entertainment or sightseeing while enjoying a fine "City Cottage", the Wychwood is the ticket. This rental worked really well for our family. It's a nice little house - I'm only sorry it wasn't warmer so we could use what looked like a great patio! No-smoking. No Pets. Cleaning fee is $125.00. Unused damage deposit of $250 refunded within 2 weeks of departure.